The bluetooth speaker offers great quality sound with the equipped subwoofer, which is strong enough to fill up the whole room. 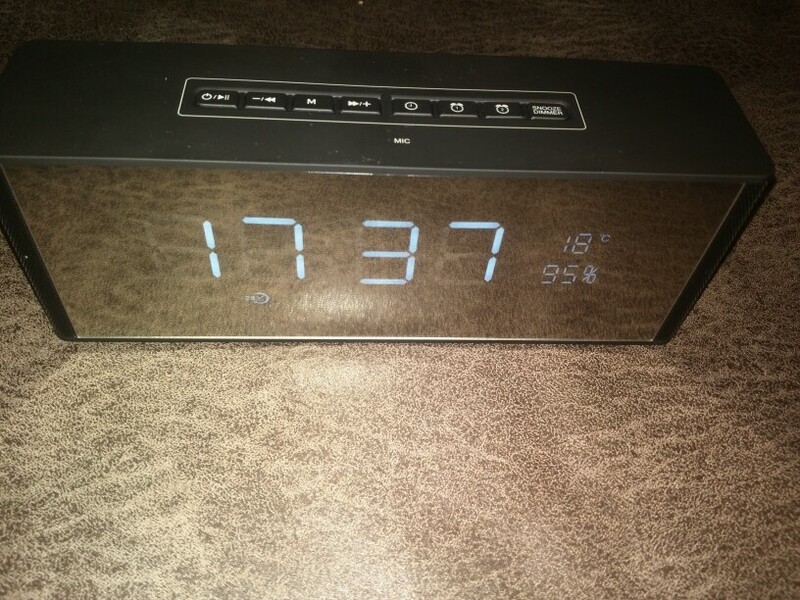 It features unique multifunctional design with Alarm Clock. It comes with a TF card slot, so you can store your favorite songs in the TF card and insert it into the slot to play the music. What's more, the charge cable of the speaker can also act as audio cable, so you can connect the speaker with smartphones, tablets, MP3 players and other audio devices via bluetooth or audio cable connection. It is compact and lightweight for easy carrying anywhere with you, ideal for outdoor activities, driving and traveling. hello. i have received the speaker. 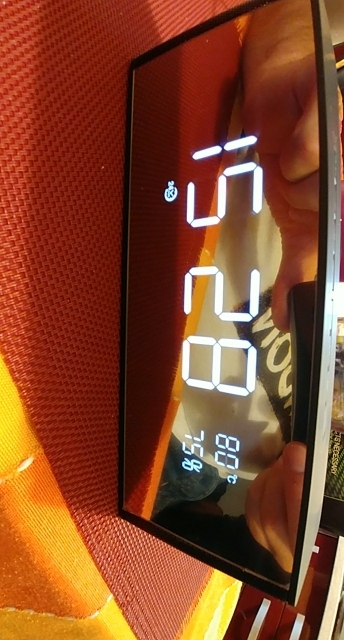 everything it's ok. but the temperature is not working. 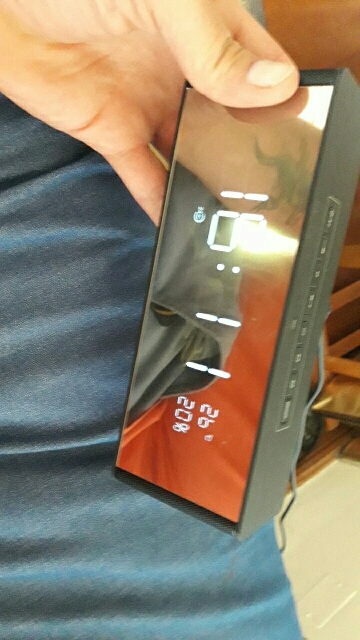 it always shows 80 degrees celsius. a little bit hot huh? interesting. ordered from gadget world to save kindly suggested to seller from russia my goods have been the week in total. thanks to seller.